It was lifesize and was contained inside a large refrigerated room. Every year, there’s a different theme. The theme this year is “Feeding Our Future,” and honors the food service cafeteria workers in New York State schools. The sculpture was crafted by Jim Victor and his wife Maria Pelton, and it took the couple 10 days working long hours to get it done in time for the Fair. 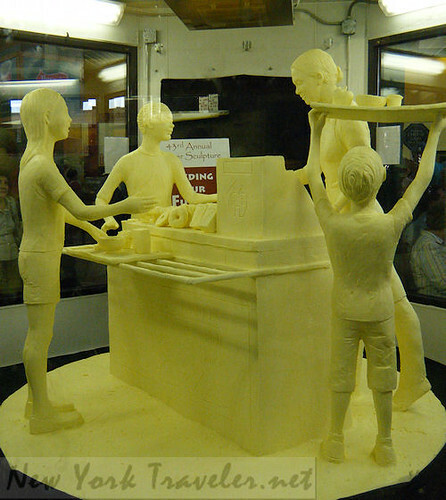 The butter sculpture contains 800 pounds of unsalted butter from Wegmans Markets. 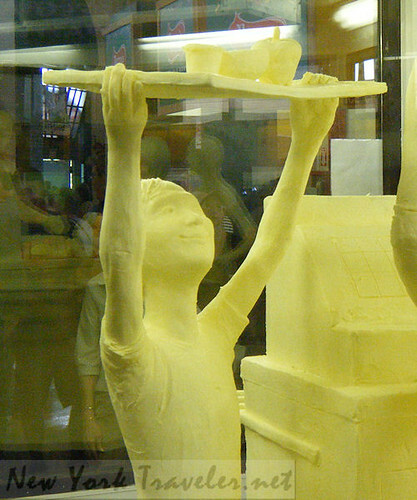 After the fair is over, the State University College of Environmental Science and Forestry will turn the butter into biofuel to fuel its buses. 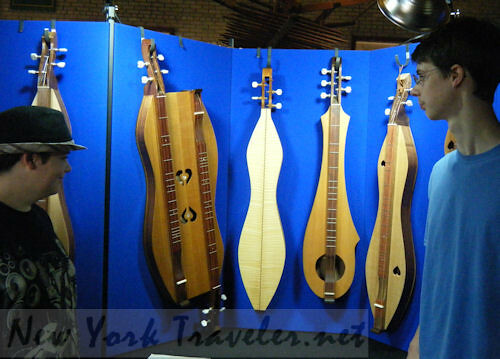 While we perused the Agricultural Museum, I spotted an unusual display in the center of the building– dulcimers! The gentleman at the booth is none other than Bernd Krause, luthier! Since we are a musical family, we were very curious about the instruments and Bernd’s craft. I asked him how he got started creating dulcimers. He said that thirty years ago, he attended a Dolly Parton concert and saw her playing a dulcimer. He’d never seen anyone playing such an instrument before, and was intrigued. He did research on the instrument (this was before the Internet, mind you!) and learned how to make one. A friend was so impressed with the craftsmanship of Bernd’s dulicmer that he asked Bernd to make one for a niece. In time, Bernd was taking orders for musicians wanting handmade dulcimers! Dolly Parton got wind of Bernd’s story and purchased one for herself. 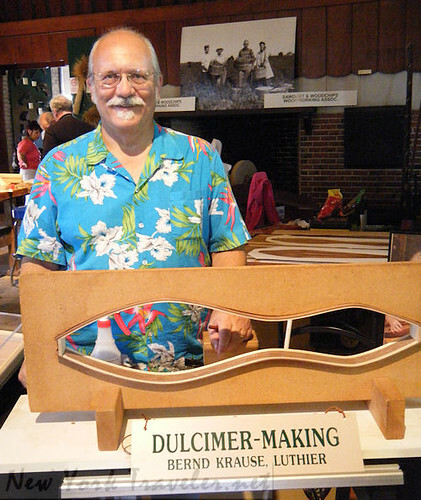 Next to the dulcimers on display, Bernd has a photo of himself standing next to Dolly Parton holding one of his hand-crafted instruments. The dulcimers are lovely. They are usually crafted from black walnut, Bernd says, but he’s made them from zebra wood and mahogany and other woods. 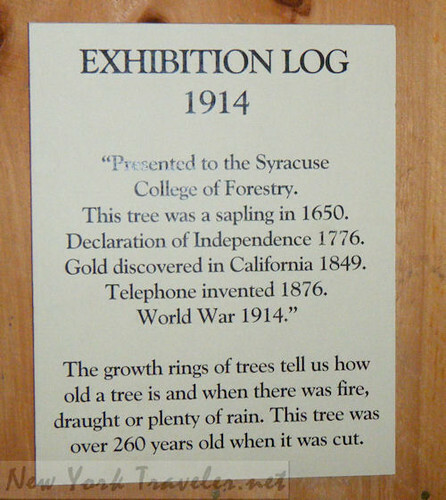 Speaking of wood, we also spotted this curiosity in the Ag building– an exhibition log of 1914! Oh, if trees could talk! 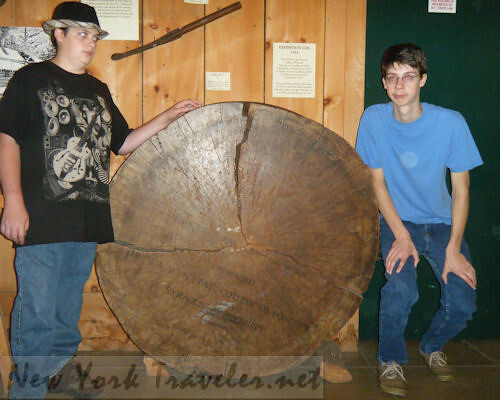 We milled around quite a bit. We spent over 5 hours at the fair and didn’t see everything. We saw pigs and sheep and goats. There was a 4-foot giant rat and monster python that we could have paid to see (but didn’t). There was a sea lion show we saw briefly. 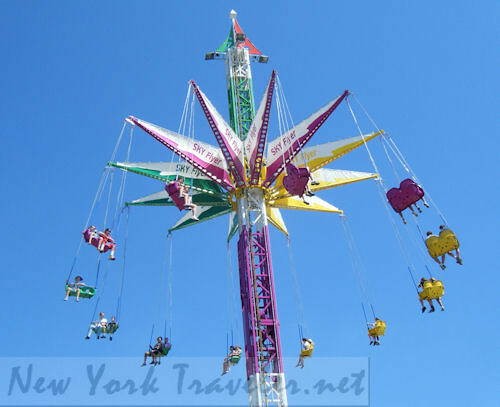 And of course, there are the typical amusement rides, games and souvenir shops. The rides looked very exciting with all the people screaming and the metal rock music blasting, but we weren’t interested in them much. They were very colorful, though. All in all, it was a nice day. Exhausting, but nice. 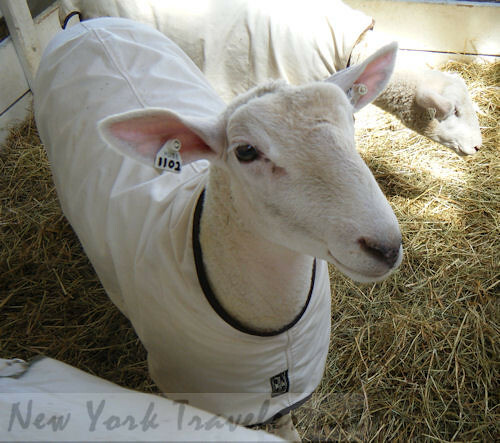 The New York State Fair runs until September 5th, so you still have time to enjoy it. If you go, be sure to see the Harlem Wizards!